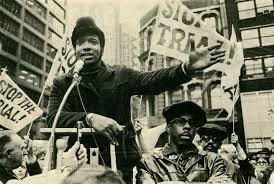 Fred Hampton was the Deputy chairman of the Illinois chapter of the Black Panther Party. He was killed on December 4 1969 along with fellow Black Panther Party member Mark Clark during a police raid. His fiance was Akua Njeri (nee Deborah Johnson), also a member of the Black Panther Party. Circa 1969, Fred Hampton, Illinois Black Panther Party was listed as a sponsor of the Socialist Workers Party led GI Civil Liberties Defense Committee . "I believe that I will be able to die as a revolutionary in the international revolutionary proletarian struggle. And I hope that eacn one of you will be able to die in the international proletarian revolutionary struggle or you'll be able to live in it. And I think that struggle's going to come. Why don't you live for the people? Why don't you struggle for the people? Why don't you die for the people?" Originating in the Uptown neighborhood of Chicago, the organization was designed to support young, white migrants from the Appalachia region. However membership was open to all races. 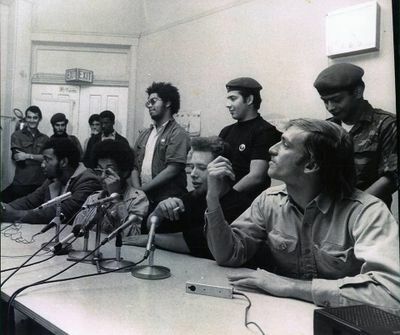 With Fred Hampton of the Black Panther Party, Cha Cha Jimenez of the Young Lords, and Katiri LaRouge of the Native American Housing Committee, the Young Patriots Organization helped to form the Rainbow Coalition (unrelated to Jesse Jackson's later Rainbow/PUSH Coalition). This page was last modified on 19 April 2018, at 23:32.